Home Recreation Does “icing the kicker” work in football? Does “icing the kicker” work in football? 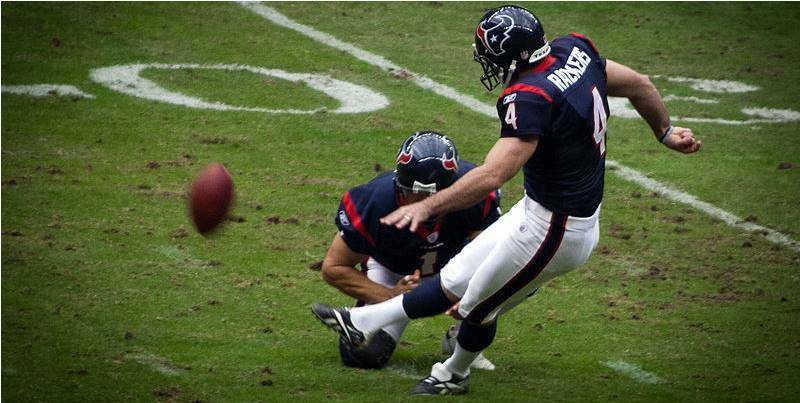 In the sport of American football, the act of icing the kicker or freezing the kicker is a tactic employed by the defending team in an effort to disrupt the process of kicking a field goal just prior to the snap. Typically, either a player or a coach on the defending team will call a timeout just as the kicker is about to attempt a game-tying or game-winning field goal. This is intended to either stop the kick immediately as the kicker is mentally prepared or allow for the kicker to kick immediately after the timeout so that the initial kick does not count, in an attempt to mentally disrupt the kicker for the actual kick. If the tactic is successful, the kicker has been effectively “iced.” Should the kicker make the subsequent kick, then the attempt to ice the kicker is considered unsuccessful. Houston Texans kicker, Neil Rackers. Makes sense, doesn’t it? The coach can “ice” the kicker — mess with his mind, throw off his routine, make him stand around like an awkward guy at a cocktail party for all the world to see. But does it work? The short answer is not in the NFL, it doesn’t. In the book Scorecasting, the authors make the most compelling evidence to date on the subject. They analyzed “pressure” kicks from the years 2001 through 2009 while controlling for the distance of the attempted field-goal. They found that icing the kicker doesn’t produce the desired effect, and in some cases might even backfire. Most NFL kickers were soccer players at one time in either college of high school, which is how they developed good kicking technique. When the scoring system for football was invented in 1883, a field goal was worth five points. It was changed to three points in 1909. 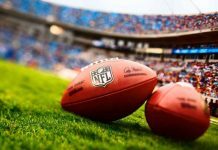 Freakonomics – “Football Freakonomics”: Why Even Ice a Kicker? Mixpanel – Mixpanel’s game theory: Does icing the kicker work? Previous answerWhy is the word Colonel pronounced like it has an “r” in it? 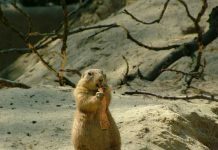 Next answerWhy are dollars referred to as bucks? 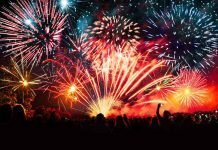 Why do we light fireworks on New Year’s Eve?